This is Italian comfort food at its best. No joke, at its best. 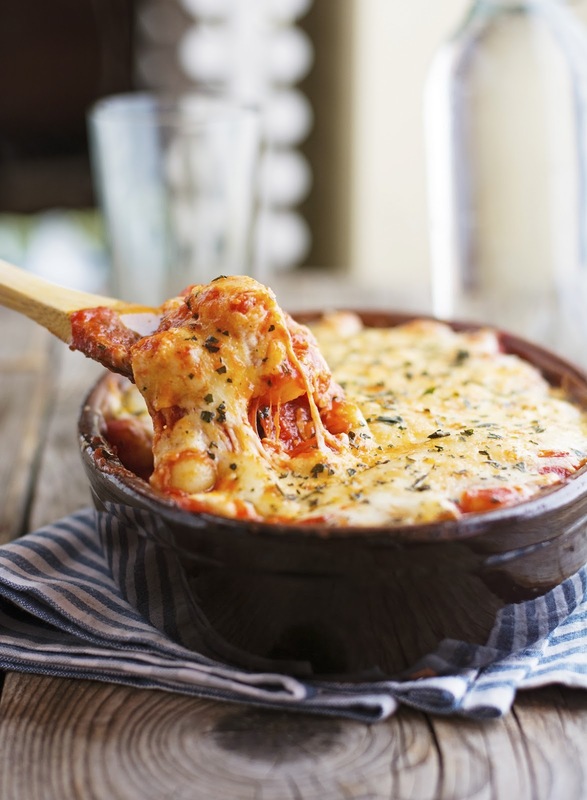 If you’re not familiar with it, Gnocchi alla Sorrentina (which means gnocchi Sorrento style) is a crowd-pleasing dish that comes from the town of Sorrento on the Amalfi coast, near Naples (Italy). A classic Italian staple you can easily make in your own kitchen. It’s a simple dish made with simple ingredients: gnocchi, tomato sauce, mozzarella, Parmesan cheese, and fresh basil. Gnocchi alla Sorrentina comes together quickly. Start by making the tomato sauce. Then you cook the gnocchi — they take next to nothing to cook, just wait until they float to the top and they are done. Combine gnocchi with the tomato sauce. Spoon them into a baking dish (or individual baking dishes if you prefer), sprinkle with grated Parmesan cheese and top with fresh mozzarella. Pop in the oven for 6 minutes, just long enough for the mozzarella to melt and become golden. Just like most Italian dishes, the simpler a recipe is, the better the ingredients need to be. The result will depend on the quality of the ingredients: The better the tomato sauce, the better the mozzarella, the better the results. I’m not kidding, the flavor in this dish relies entirely on the quality of the tomato sauce and of the mozzarella. The result is gooey deliciousness. 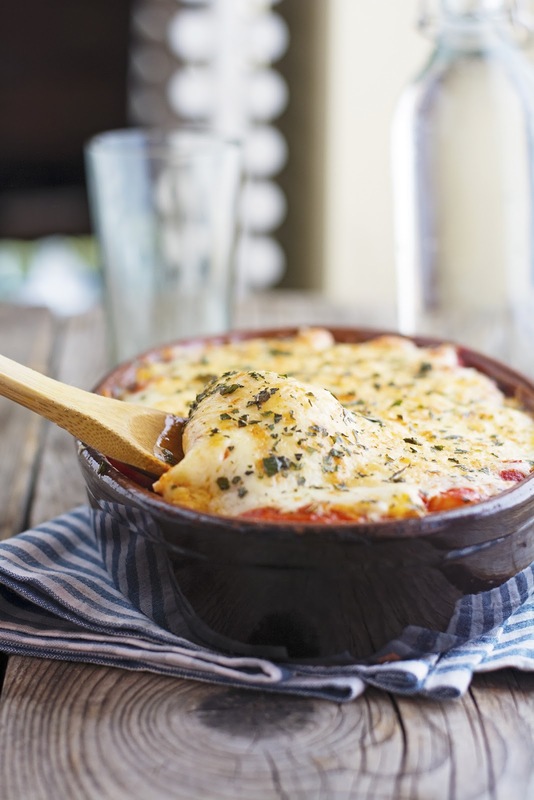 A warm and comforting recipe, packed full with rich southern Italian flavors. 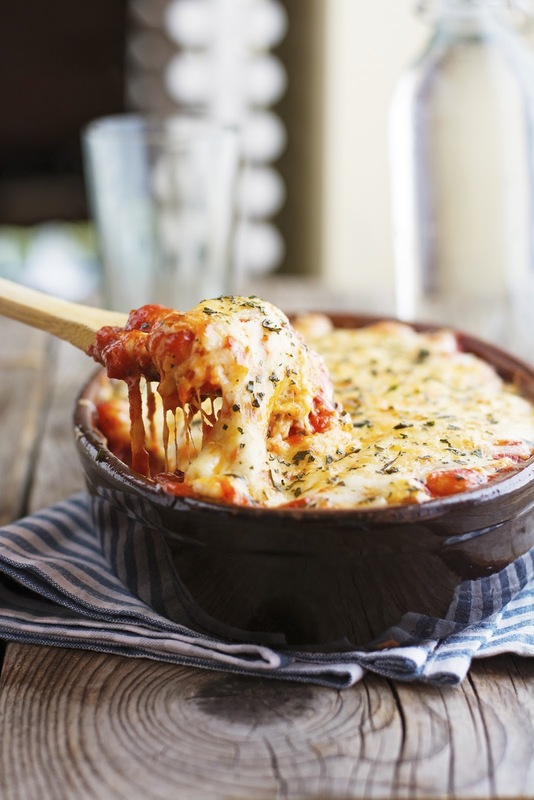 Trust me, you can never go wrong with Gnocchi alla Sorrentina. Gnocchi alla Sorrentina Print this recipe! Preheat oven to 400°F (200°C) and place a rack in the middle. Heat 2 tablespoons of olive oil in a saucepan over low heat. Add tomato sauce, garlic clove, and salt and give a good stir. Add a couple of basil, cover with a lid, and cook for 25 to 30 minutes, stirring every now and then and making sure that the sauce doesn’t burn. 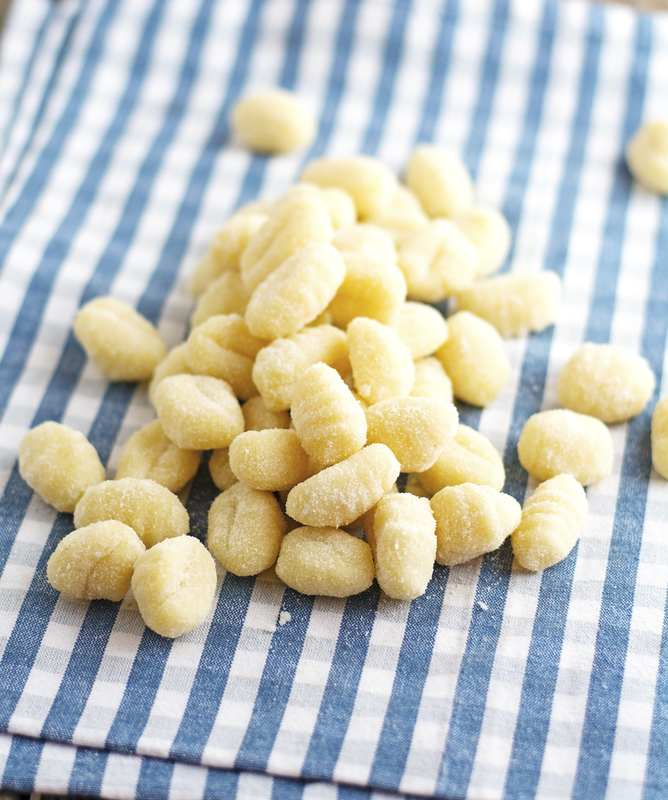 Transfer gnocchi to bowl and carefully stir with the tomato sauce using a spoon. Spread the reserved 2 tablespoons of tomato sauce in the bottom of a baking dish. Drizzle with a bit of olive oil. Add half of the gnocchi, sprinkle with half of the mozzarella and half of the grated Parmesan cheese. Top with remaining half of gnocchi and sprinkle with remaining mozzarella and Parmesan cheese. Bake for 5 minutes then turn on the broiler and broil for about 1 to 2 minutes or until the cheese is bubbly and golden. One serving yields 291 calories, 5 grams of fat, 46 grams of carbs, and 13 grams of protein. Made this tonight, my husband and I loved it! Will be making again, thanks for sharing! That's awesome, I'm so happy you guys liked it that much!